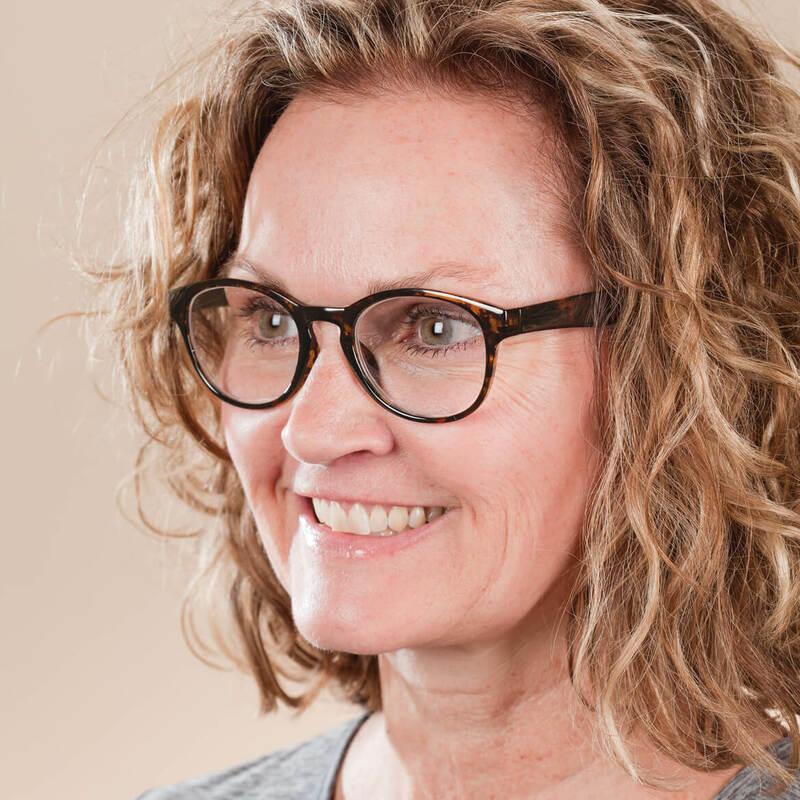 They are larger then most reading glasses and I like the black frame. 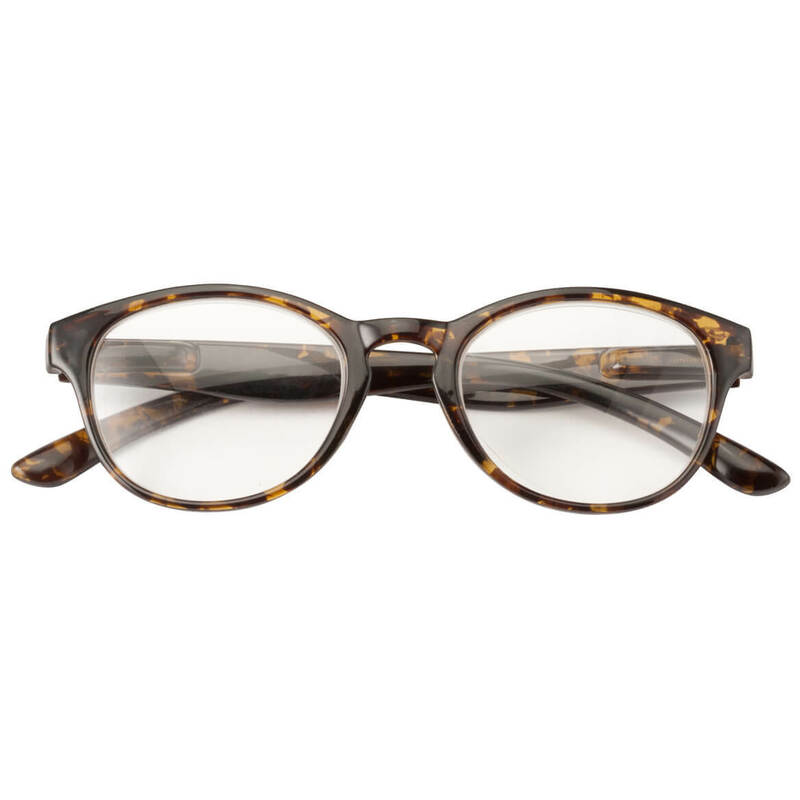 Great glasses, the frames are strudy and the lens actually magnify. This is my second purchase to use in my craft room. I ordered these so my mom could have more than 1 pair n they were a great value! The other glasses I purchased from Miles Kimball, were not round. Super addition to my selections and very stylish. I like the oval round frames. When working on the computer it helps to have a wider view. Always need my glasses. 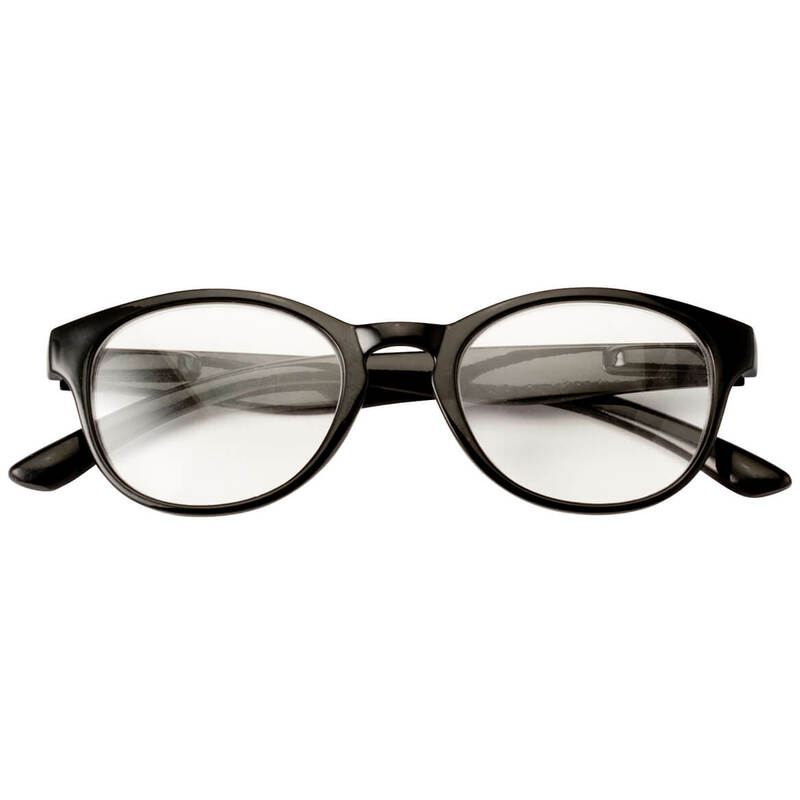 Extra pair would be nice and my vision need this power of lens. 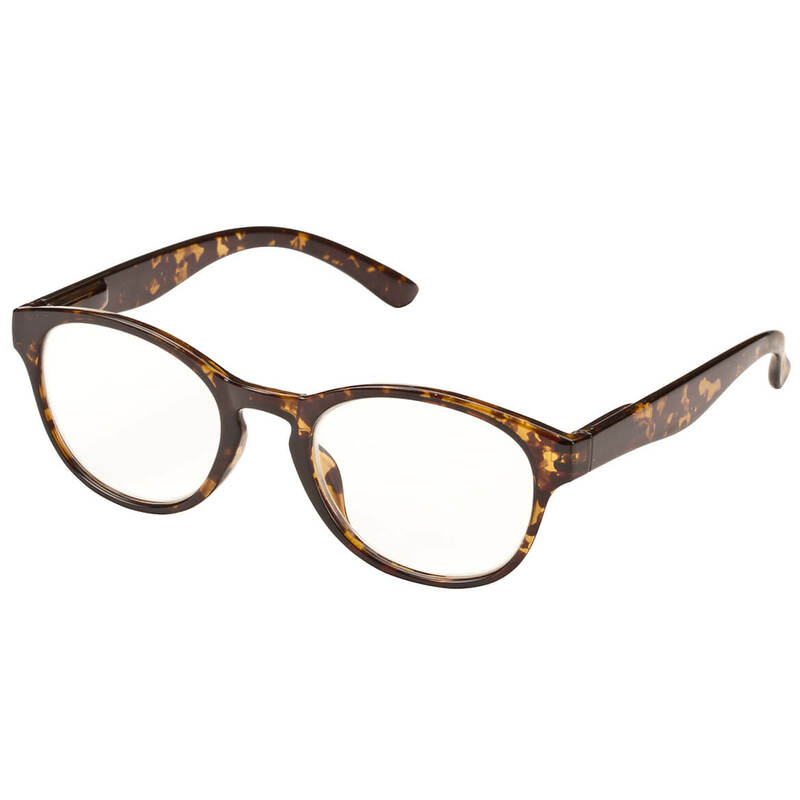 Love these tortoise shell frames and need for close-up and distance vision. My mom has a hard time finding readers in a strong size, and these came in 4.5! A half size yet. The price of what I wanted - I just couldn't pass it up! I liked the style and the colors (I guess this means I'm retro - smile). As a school teacher, I'm always trying to find basic things at low prices. At this price, I took the chance that it would fit and last. Thank you for this!